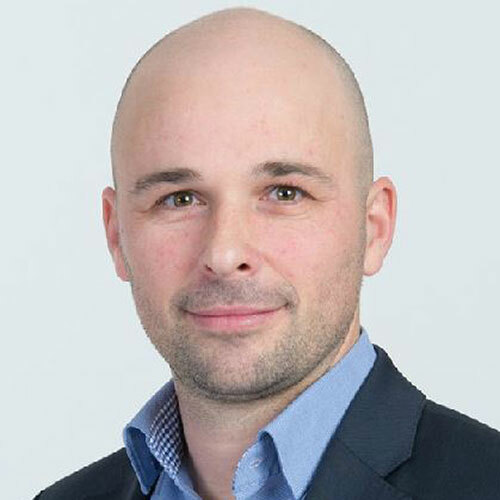 Thomas Terbuch is the General Manager of consultnetwork GmbH and consultant for corporate performance management. Thomas Terbuch, MBA, has studied Controlling and Strategic Corporate Management at the Alpen Adria University. He has more than ten years experience in the implementation of management accounting systems in the trade, health care and production sectors. Today, Thomas is the Managing Director of consultnetwork GmbH and consultant for integrated business management. As such, he has been involved for over ten years with integrated business management in company groups of 5 to 30 companies. 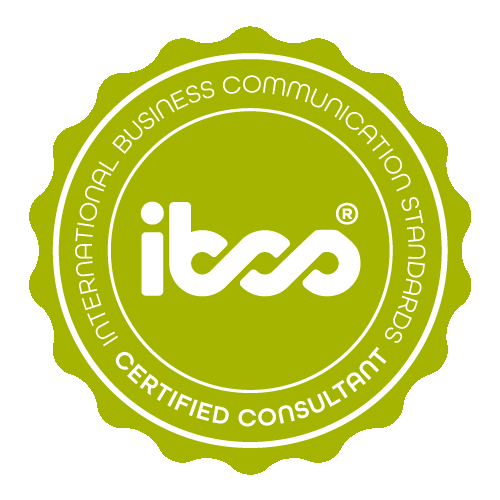 The IBCS® Standards are an important part of his controlling framework (www.controlling-strategy.com), which he developed together with his partners over the last several years. 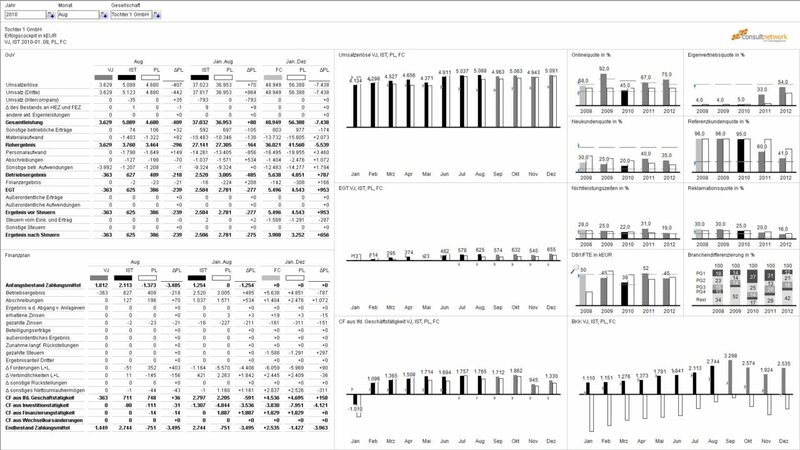 Thomas Terbuch visualizes management cockpits according to the ‘one page only’ principle for groups, companies, as well as for branches and profit centers according to the IBCS® Standards. Thomas Terbuch has successfully completed the IBCS® certification for successful design of reports and presentations at the HICHERT+FAISST IBCS Institute in April 2012. More information about the concept and its implementation you will find in our three-part video series following this link here. 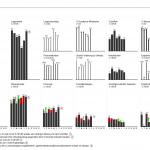 This example was created as part of a reporting project for a corporate group consisting of nine operating companies. On one page the overall economic situation of a subsidiary had to be summarized. This page includes income statement, cash flow statement and strategic information. 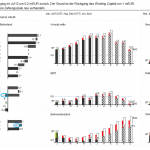 The reporting conception represented the final step of a multi stage implementation of a group-specific controlling-strategy. 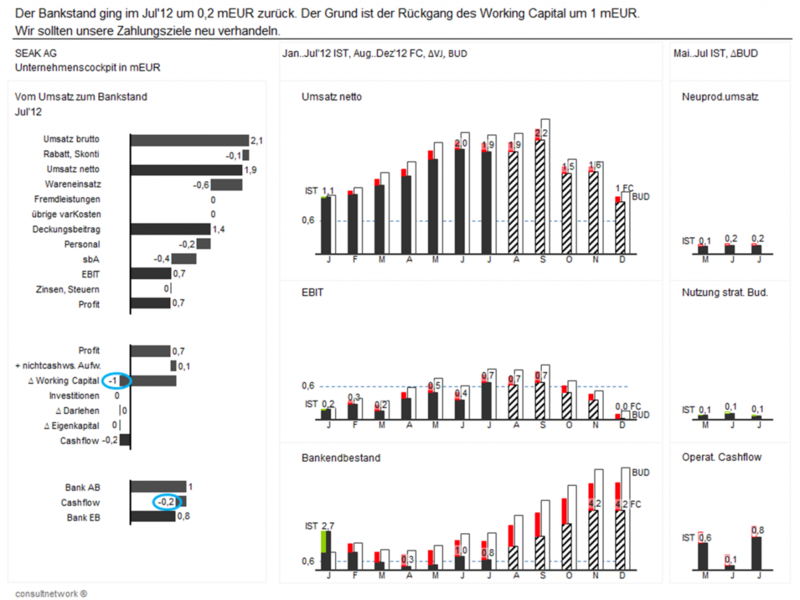 All stages – from conception through the generation of the actual data to integrated financial planning and reporting were implemented by Mr. Terbuch. All data of the cockpit are linked to the Professional Planner database, the visualisation was implemented with SparkShapes®. 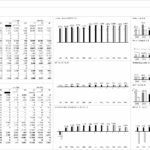 All P&L items were grouped using uniform scaling and visualization in a monthly comparison with the deviation from the previous year. Ratio indices are shown using variations of needles. 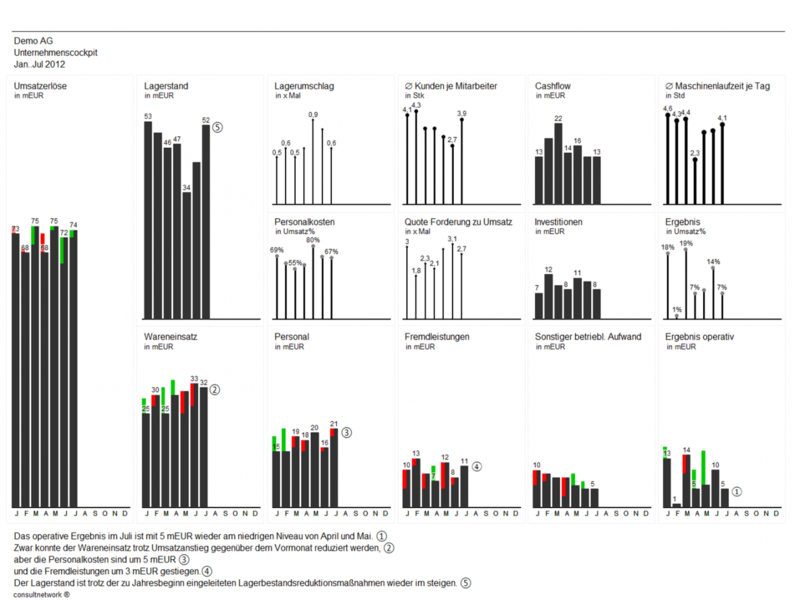 The different visualization makes it possible to distinguish among the items on a visual level. consultnetwork offers consulting services for holistic controlling in connection with high-quality software solutions.